The star of the BBC mockumentary The Office, David Brent, has returned! Comedian Ricky Gervais reprises the role of the Marmite-like former manager of Wernham Hogg, this time in a feature-length offering. The highly-offensive (albeit well-meaning) David Brent is minus any of The Office’s familiar faces here. The funny man finds himself working for the sales company Lavichem, selling bathroom supplies, when he embarks on a new adventure to become a rock star with his band Foregone Conclusion. The film digs far deeper into Brent’s character than we ever saw in The Office, showing the thought processes of a man desperate to be loved by all, but winning over very few. Life On The Road stands up far better than you’d expect from a movie based on a mockumentary which ended back in 2003. It contains smart songs and a good (if not well-known) cast. One of the best performances comes from Ben Bailey Smith, whose supporting role as the talented rapper Dom Johnson (and in one scene, a Native American) will surely see him move on to bigger and better things in the film industry. The film seriously lacks any links to the series it tries to reference, besides Brent himself and a quirky nod in the form of an instrumental version of “Handbags and Gladrags” playing during one scene, the well-known theme song of The Office. It delivers regular laughs, and I imagine it will be an enjoyable watch for fans of The Office. For non-fans, I can see it being quite difficult to really understand why this awkward man with ‘Berk’ adorned on his arm is worth the time of day. So, it's a bit hit and miss, but it's still a lot more than an average boring Sunday movie. 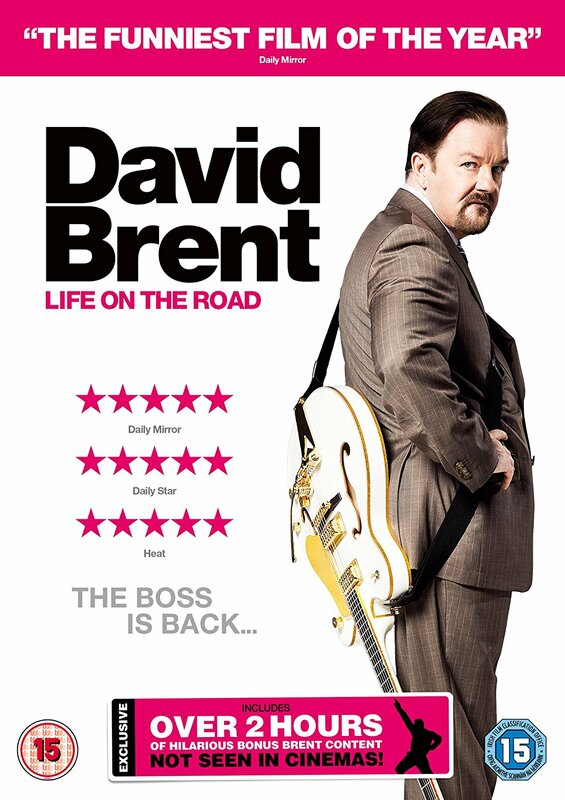 David Brent – Life On The Road is now available on DVD and Blu-ray from all good (and probably some really bad) physical and online stores.